Assam Finance Minister and convenor of the North East Democratic Alliance (NEDA) Himanta Biswa Sarma, who was camping in Mizoram left the poll-bound State on Thursday. Sarma accompanied BJP chief Amit Shah during the later’s visit to Aizawl on Wednesday after his Guwahati visit where he attended a marriage ceremony and offered prayers at the Kamakhya Temple along with Assam Chief Minister Sarbananda Sonowal and State BJP chief Ranjeet Kumar Dass. 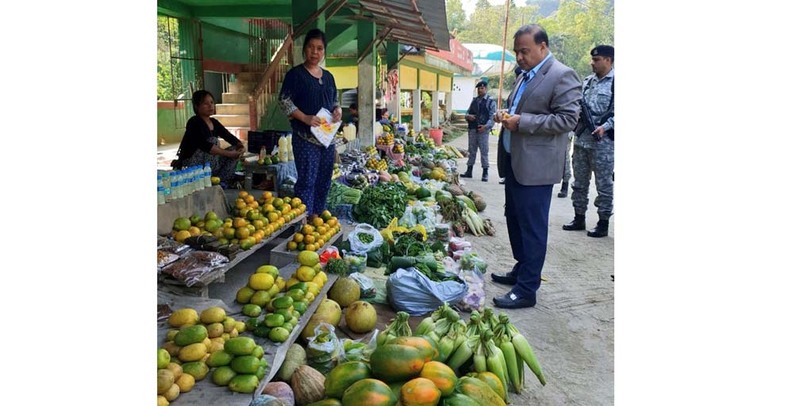 On his return journey to Guwahati, Himanta Biswa Sarma, who is also the Health and PWD Minister of Assam, shopped in a market near the Lengpui airport at Aizwal and lauded the beauty of Mizoram and the State’s “organic and fresh fruits & vegetables” which he said “lures” him to the place. “What lures me to this place, other than its compelling beauty, is Mizoram’s organic and fresh fruits & vegetables. On my way back to Guwahati stepped out to shop near Lengpui airport at Aizwal,” tweeted BJP leader Himanta Biswa Sarma. #Mizoram doesn't ever fail to mesmerize!